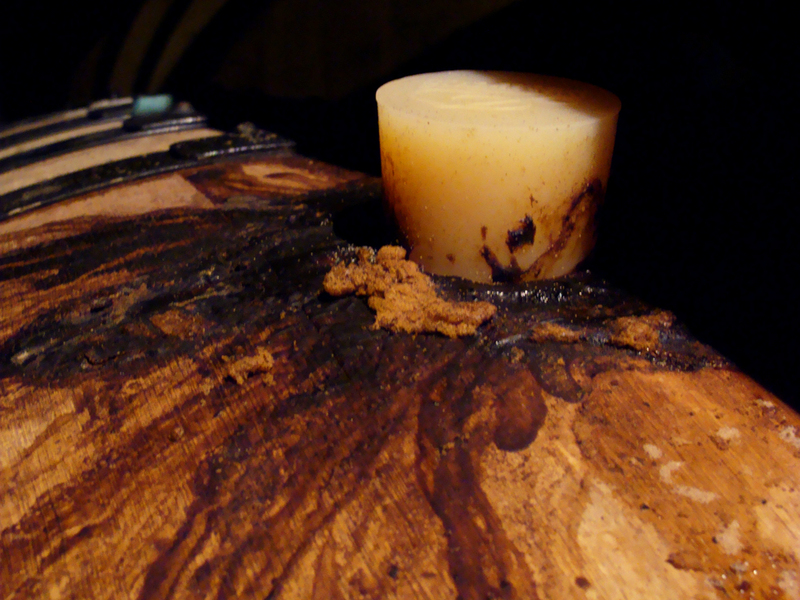 Dried krausen caked onto a barrel at Cantillon. Something strange brews in the Senne valley. In the cooler months, brewers open the shutters of their breweries and welcome in whatever is borne on the breeze. Foaming wort bursts forth from old oak casks, spilling over the cobwebs networked between barrels. Some of the beer has been aging here for three years. The master brewer takes stock of each vintage and blends them together into a final concoction that springs to life once more in the bottle. Lambic and gueuze are the defining drinks of Brussels and Brabant, and this small patch of earth is the only place in the world where it can be brewed. In the heart of Brussels is a brewery whose supply is far outstripped by demand, but whose survival since its founding in 1900 is rather remarkable. Not only has Cantillon weathered two World Wars under German occupation, during which barley and wheat were in very short supply, but also survived the much more threatening invasion of macro lagers and pasteurized, sweetened pseudo-lambics. Tradition has seen Cantillon through each hardship. The copper koelschip in the attic of Cantillon. When I say tradition, I mean not only have the techniques remained the same for the last century, but even much of the equipment is as old. 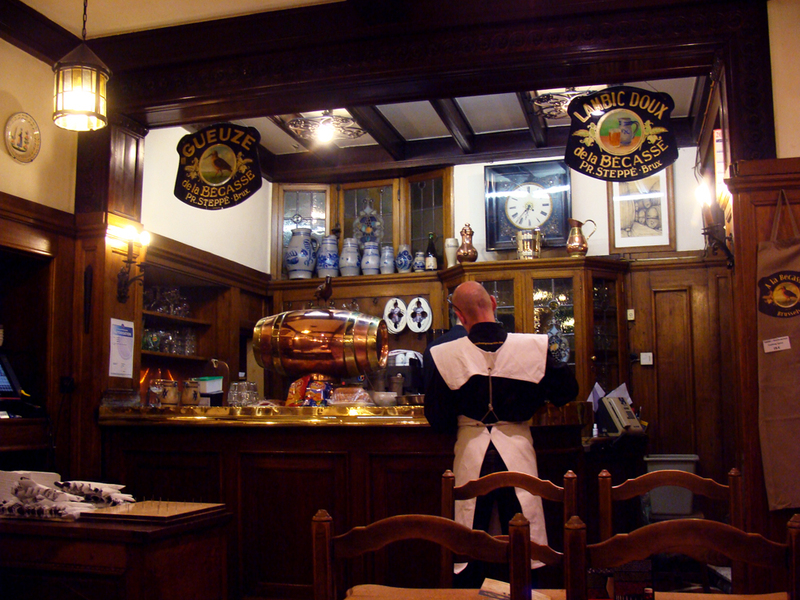 The museum-like preservation of the brewery isn’t so surprising considering it also serves as the brewery museum of Brussels, a unique position credited with helping the brewery survive by earning it extra cash from visitors and by guiding the drinking culture back to traditional tastes. I’ve read speculation that the more critical aspect of the museum is that it may serve as a tax haven for the brewery. But this is unlike any other museum or any other brewery. 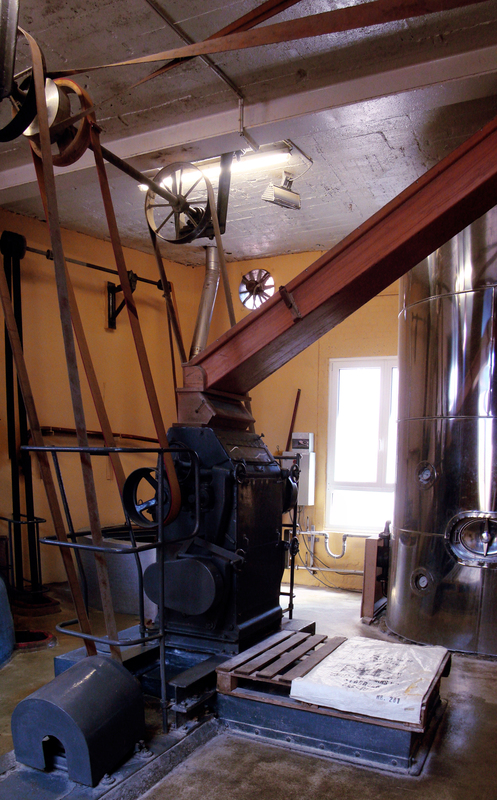 The smell of malt and oak pervades the building, and while there is some stainless steel here and there, the long belts connecting motors to shafts and even the positioning of equipment on successive floors, eliminating need for the pipes that network through most modern breweries, are a testament to the lively working organism that inhabits the space. There is no tour per se, you are simply handed a booklet, given a brief history, and sent on your way to wander. In a hall of barrels, it’s easy even to forget that one is less than a half mile from the busiest train station in Brussels, a part of the city that looks like it could’ve been cut right out of Brooklyn. The building feels inhabited and loved, and all the staff I interacted with seemed enthusiastic and to harbor deep affection for the space and their product. After wandering to my heart’s content, I was served a straight, uncarbonated 18-month old lambic, and then poured kriek from a bottle nestled in a wicker basket. The wicker baskets are part of the lambic tradition; since lambics are stored horizontally, standing the bottle upright between pours upsets the yeast sediment. The basket keeps the bottle angled and minimizes motion necessary for a pour. Other traditions may or may not include wearing a rather ridiculous white apron while serving. This one I couldn’t find much info about outside of Tim Webb’s Good Beer Guide to Belgium insisting that this was one of the qualities that makes the café A la Becasse authentic. Despite (or perhaps because of) the vestments, this guy was gruff. Gruff enough that I only dare photograph him from behind. Unfortunately, my lambic adventures went no further than this. Despite planning a two-day itinerary cycling across the path of five or six more blenders and brewers of lambic and gueuze, I blundered through finding myself a bicycle. I had returned my previous bicycle to Kortrijk under the impression that surely in Belgium’s largest city I could find a cycle suitable for trips of 25+ miles. After striking out on a shop on the outskirts of the public transit system, the clerk recommended I check the next town over where there was a larger shop that would surely have stock. Concerned about missing my appointment to tour Oud Beersel, I hitchhiked the three and a half miles to Hoeilaart (amazing pronounced something like “Ool-aacht”), only to find their stock was also exhausted by those more enthusiastic than me for a morning ride. So my plans scuttled, I settled for picking up consolation prizes at a bottle shop. As I mentioned previously, at the very least this leaves me with a ready-made itinerary when I hopefully return. This entry was posted in beer, travel and tagged Belgian, Belgium, Cantillon, Drie Fonteinen, gueuze, lambic, narrative, Oud Beersel, Pajottenland, sour beer, spontaneous fermentation, wild yeast on June 16, 2014 by Dylan Bargteil.